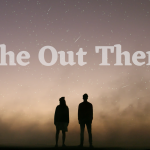 The first season of scripted Instagram series The Out There has recently sold to US-based media company Adolescent Content, who will also back a second installment. Originally released earlier this year through the Instagram handle @TheOutThere, the linear drama series is the creation of first time writer-producer Hannah Lehmann, who also stars, and was directed by Mohini Herse. It follows a 20-something Sydneysider Frances (Lehmann), who’s stuck in a rut. After she bumps her head drunkenly wandering around a graveyard, she begins seeing Thomas (Robert Snars), a ghost from the 1970s, everywhere she goes. Instagram constrains video to a minute, so each of The Out There’s 13 episodes runs 60 seconds or less. Lehmann originally decided to distribute the series through the social media platform because of its accessibility. Focused on young content creators and youth audiences, Adolescent Content is an agency, production company and digital platform. It recently distributed The Out There‘s first season through its own Instagram feed – releasing one episode per day – and will financially back and support the development and production of a second season. “Hannah is a talented writer with ability far beyond her age. We are so proud of what she accomplished with her team. When I watched the episodes of The Out There I had chills. This is a series that’s impossible to stop watching… Adolescent is dedicated to supporting and representing prodigious youth voices and this series is the perfect embodiment of our mission to help bring diverse voices into the light,” she said. Lehmann told IF she had admired the work Adolescent had been doing with up-and-coming directors and creatives, and since partnering with the company she feels The Out There has been truly able to reach its target demographic. She also re-released the series through the official @TheOutThere feed as Adolescent Content was airing it. She adds that the industry support in Australia when she first released the series earlier this year was overwhelming, noting it has been very encouraging as a first time producer. Instagram has gained some traction as distribution platform overseas, recently used to distribute UK crime drama Shield 5, directed by Anthony Wilcox. In the US, there’s sci-fi series Desert Friends, and CW’s comedy series JoJo Head was distributed via Instagram Stories. Last year, InstaMiniSeries released a 16 episode artistic series, Unbound, based on David Bowie’s final album, ‘Blackstar’. However, releasing a series through Instagram, like any new and untested distribution platform, isn’t necessarily easy, said Lehmman. 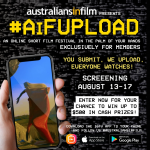 She said that “micro filmmaking is having a moment”, something she is pleased to have been at the forefront of in Australia. The second season of The Out There will start shooting later this year.